This weekend, the Japanese Canadian Cultural Centre was having their New Year celebration and part of the celebration was to allow vendors to come in and sell Japanese goods. 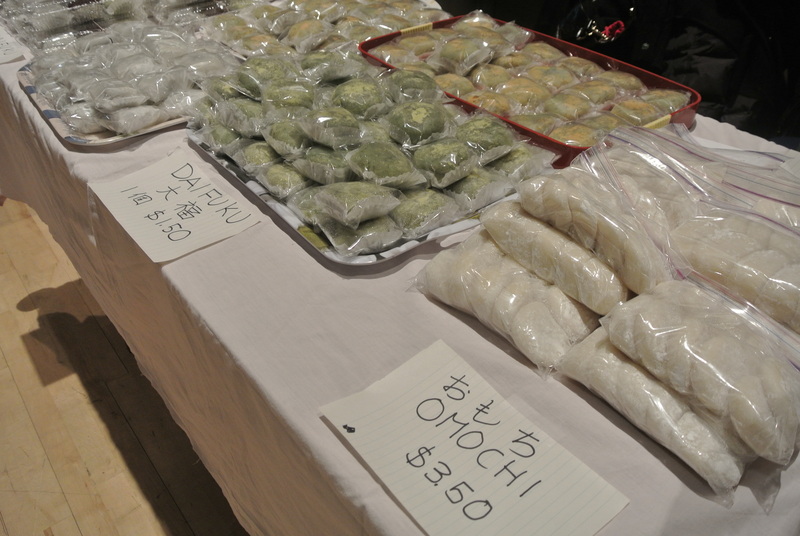 One of the vendors was my mom, who is somewhat infamous for her “wagashi” in the Toronto Japanese community – something I take for granted sometimes as I grew up eating this stuff all the time. Wagashi is Japanese traditional sweets – they are typically beautifully decorated and mostly made from mochi (sticky rice) and anko (adzuki red bean paste). My mom made a variety of daifuku, a wagashi that is made of mochi with an anko centre – my mom’s anko is a bit chunky in texture, most are smooth (kind of like the difference between chunky and smooth peanut butter). 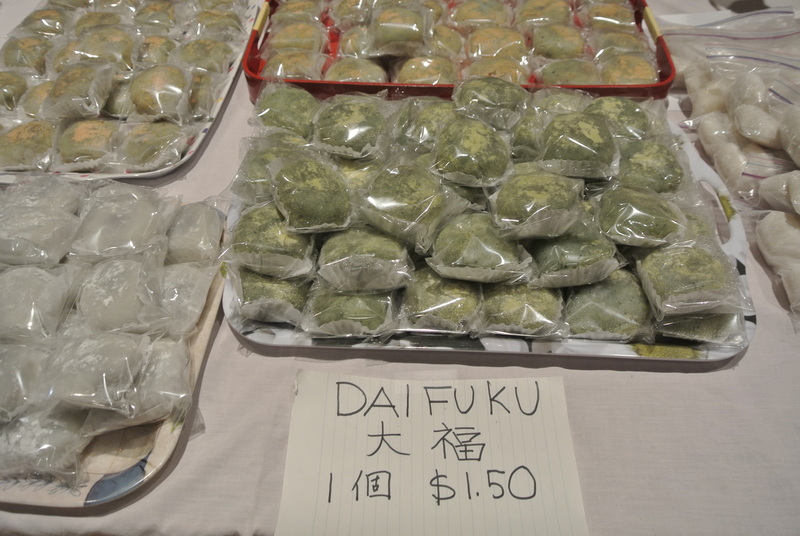 The most popular daifuku flavour being yomogi mochi, a green japanese herb flavoured mochi that is dusted in kinako (toasted soybean flour). I know that Japanese sweets can somewhat be an acquired taste in flavour and texture but if you ever get a chance, try some – Yum! My mom’s homemade daifuku – regular (left) and yomogi with kinako (centre). 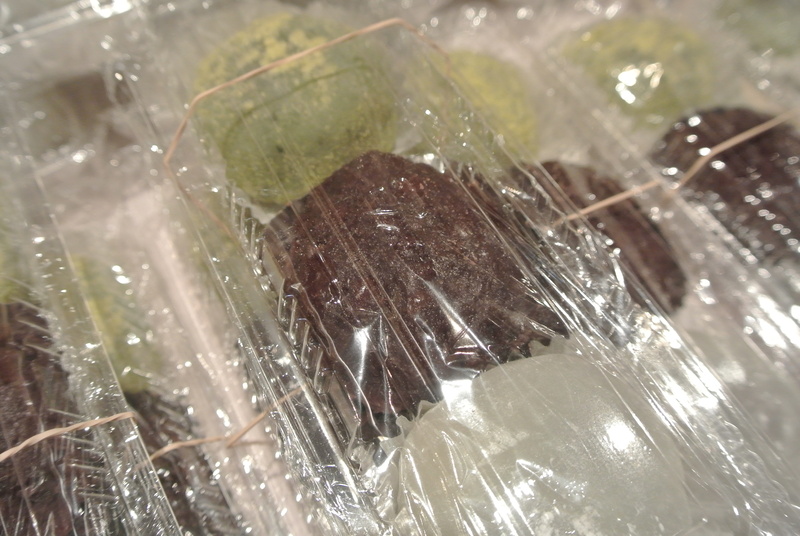 My mom’s daifuku set (3 different kinds) – regular, yomogi and ohagi. 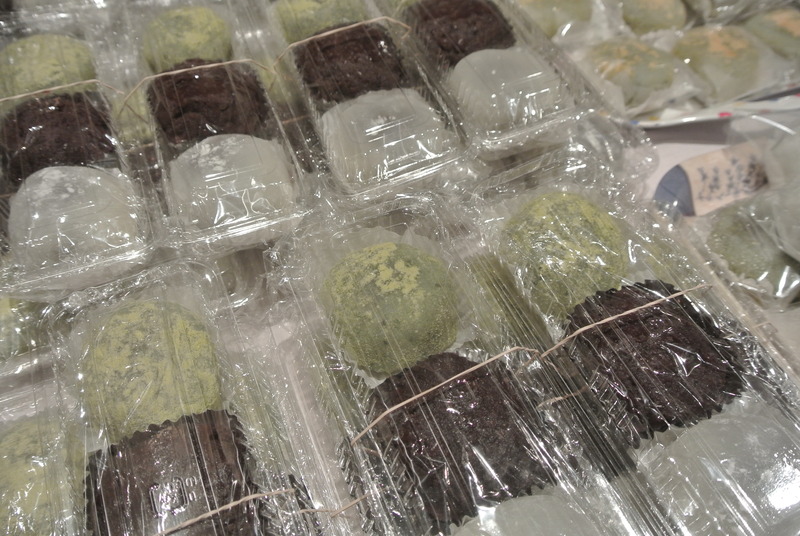 A closer look at Ohagi – which is basically an inside out daifuku – red bean paste on the outside with mochi in the centre. 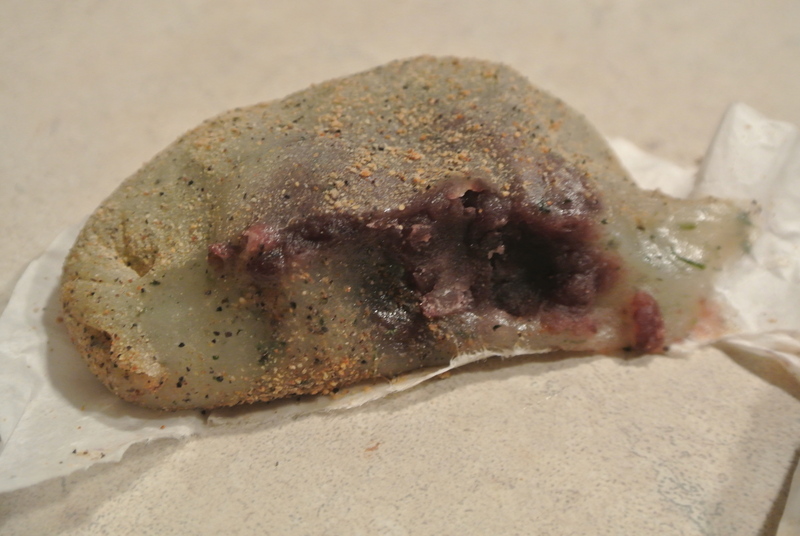 Inside the daifuku. Definitely tastes better than it looks here! I'm usually not a big fan of mochi but your description and photos have really sold it.. I could really mochi right now!